Little Mouse loves paper lanterns with their impossible delicate beauty, and the way Old Chen's hands seem to effortlessly cut, paste, and paint his masterful creations. Little Mouse watches and learns until, when Old Chen can no longer make the lanterns, he finds his inner strength and his hidden talent. But more important than Little Mouse's achievement is the bond of friendship between him and Old Chen. The traditions of a culture and the magic of an art form are carefully preserved as they are passed from one generation to the next. 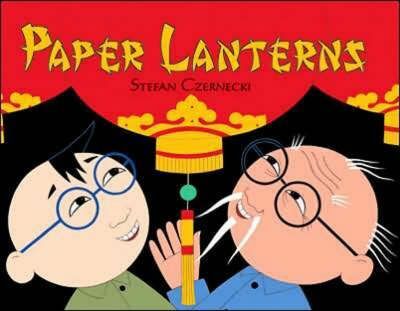 Exquisite, bright illustrations, as delicately rendered as the Chinese paper lanterns themselves, draw readers of all ages into this simple story of the power of friendship, patience, and perseverance. "This timeless story is sure to touch the minds and hearts of countless readers." Stefan Czernecki is an author and illustrator of children's books. He is the author and illustrator of THE CRICKET'S CAGE. Stefan lives in Vancouver, British Columbia. Visit him online at www.stefanczernecki.com.